I just want to take a second to say thank you for your services! So good to find a professional and thorough PR group! I gladly recommend Enticing Journey to others, and I plan to return for more tours soon. I used Enticing Journey Book Promotions for this release. I paid 90.00 and they handled the blog signups, arcs, cover reveal, and 3 days release blitz. They even took over my blog and reader sign ups that I had already started! Honestly, it was worth it to just not have to stress. I know that sounds lazy but the first two I did myself and it's hard! I learned a lot by doing it all like how to make HTML web kits and how to do google doc forms but as a single mom and full time teacher, I felt so stressed and spent a lot of time frustrated and crying. Using them was such a god sent. Ena was so patient and kind and didn't get upset over my millions of newbie emails. They even email the bloggers who agreed to read and review and get confirmation of their reviews. I have scheduled them to do my next release in August! They are well worth the money. I cannot recommend Enticing Journey enough. As an indie author, there is so much you have to learn how to do. Being that jack-of-all trades takes time and energy, but trusting the ladies at EJ to take care of the promotion takes it out of my hands. Without fail, they have demonstrated their excellence and knowledge within the industry. They are professional, courteous, and willing to work with you to develop a strategy for your career. They are so much more than five star! Bravo! I just wanted to send a heartfelt Thank You to you both for all your hard work. You really keep me up to date on everything and you'll never know how much that means to me! I'll be referring everyone I know to you both! Ena and Amanda did an amazing job of arranging a tour for our anthology. We chose a 9 day promo tour and we had success with keeping our sales numbers where we hoped they would be. There is always a good turn out when Ena and Amanda are behind the wheel. They are well organized, easy to reach, and very professional. I will definitely be using them for future tours and recommending them to others. Ena and Amanda are amazing to work with. I keep a fast pace and routinely need promotion. Every step of the way they are helpful, honest, and happy to be of assistance in any way they can. I have used other companies in the past, but I feel like I have found a promotion company I can call home with Enticing Journey. I did a release day blitz with Enticing Journey and it was the most positive experience I had out of all the companies I worked with, at the time to promote my first romance suspense novel. I came back the day after the blitz had finished, and requested a blog tour ! These ladies are professional, efficient and left me with the impression they know what they're doing- this is no cowboy company. They went over an above to ensure that my book was put in front of potential readers and I got the service I paid for. My questions were answered fast and I was always clear on what was happening and when it would happen by. And it happened! For my second novel I will be back again, at this point in time if I ever consider a promotional work for any of my books this is where I'll come. Reasonable prices and I'm confident I'll walk away happy. Thank you ladies! "I have worked with several book promoters but Enticing Journey is the best in the business. They are professional, flexible, and always has the customers best interest in mind." "Working with Enticing Journey Book Promotions is wonderful. Blogging is not a full time job for me, so knowing that I can always count on them to have well made materials to me with plenty of time to plan my post is essential! They have always quickly responded to email questions and helped make sure I had everything I needed to really make the author shine! But, its more than all that. Knowing that they will also continue to promote and support the blogs and the authors DURING the tours is wonderful. Some of the other companies I work with get blogs lined up, send the materials the day before, and then thats the end of their involvement. Enticing Journey is NOT like that and its wonderful. I know I can sign up for their tours with the confidence that I will be able to have a well constructed, timely post ready to help out the amazing authors they work with. As my blog has grown, Enticing Journeys is one company that I will continue to work with." 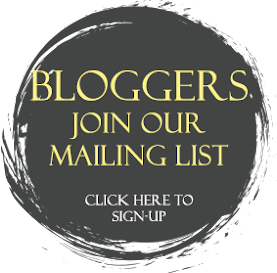 "Being relatively new to the blogger world, Enticing Journey has made it easy for us to help promote the authors we know and love. Packets are always sent with plenty of prep time for us, queries are answered promptly and invite emails are simple to use. One of the best promo companies to use, from a bloggers perspective at least. We love working with Enticing Journey, and try to sign up for as many events as we can." "As an indie author, it was difficult for me to really know where to spend my dollars in order to get my "book babies" out into the world. But spending my money on promotional services by Ena and Amanda has been an amazing experience and worth every single penny. Not only are they highly professional and extremely communicative, but I saw an actual return on my investment. My social media footprint widened, I received a series of positive reviews for my books, and sales specifically increased during the time of my blitz and tour. These ladies know how to get the word out. Trust them with your next book baby." "I have worked with Enticing Journey for over a year now. Everything they do is amazing. Ena and Amanda are very professional, timely, and efficient. Not only are they great bloggers, they are also great friends. I would recommend them to everyone." "Enticing Journey Book Promotions is like a Xanax to my promo-shot nerves!" "Ena and Amanda at Enticing journey are amazing. When I place my promotion in their hands I can sit back and relax. They are always on top of things, organized and both great to work with. I’m confidant the blogs they work with are reputable as well. It doesn’t matter if you are a new author or an established author these ladies treat you like royalty. I recommend Enticing Journey for all your book promotional needs!" I've used Enticing Journey Book Promotions with all three of my releases, and I couldn't be happier with their services. Their professionalism and attention to detail is what keeps me coming back. I know I'm in good hands when I schedule or promotional tour with Enticing Journey. Ena is amazing and takes a lot of stress on release days and cover reveals away.I know I'm in good hands when I schedule or promotional tour with Enticing Journey. "I am so happy to have found Enticing Journey Book Promotions. From beginning the beginning they have done nothing but exceed my needs in regards to my books and their promotional needs. They are always a message away and never hesitate to go above and beyond to make sure everything runs smoothly. 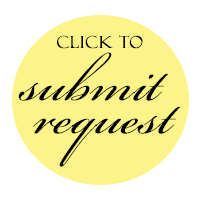 I have in the past, and will continue to recommend them to any author who requires any type of their services." "Ena, is my go-to lady for all things promo. She is quick, thorough and unbelievably professional. I will continue working with her for as long as possible. She is a shiny rare gem amongst the dull rocks, and I would recommend her over and over again." "I've been working with Ena Burnette for almost two years and cannot recommend her, and the services of Enticing Journey, enough. My expectations are always exceeded in a timely, professional and affordable manner." "I couldn't be happier with Enticing Journey Promotions. Jennifer and Ena were an absolute pleasure to work with. They delivered everything they promised and then some: fast and thorough communication, gorgeous banner and buttons, and impressive release post and review turnout from quality blogs. I will definitely be using EJ again for my next book and I highly recommend them to others." "I thoroughly enjoyed working with Ena Burnette of Enticing Journey Book Promotions. She made me feel completely at ease while she took care of every detail before, during and after my cover reveal, blog tour and giveaway. I'm extremely thankful for the opportunity I had to work with Ena and recommend her services to all of my author friends. It's obvious that she puts her heart into everything she does." "I’m a new indie author and Enticing Journey has been a godsend to me. The organization, efficiency, and service are unparalleled. I cannot say enough good things about Ena and Jennifer. I was blown away by the amazing service from both ladies. From the beginning to the end, they were on top of everything. Throughout the tour itself, I was in awe. Jennifer had my blog stops to me before I even had a chance to look at them – to me that’s extraordinary! The tours I’ve had with EJ have been the best ones to date. They honestly make you feel like family when you work with them. I’ll continue working with EJ with every book I release and recommend them to anyone that will listen. They’re truly the best in the business at what they do!" "I’m an “indie” author and I have to say Enticing Journey has taken a huge weight off my shoulders. I’ve been with them for over a year and both Ena and Jennifer are extremely easy to work with. These ladies are experts at their jobs. Ena and Jennifer are both well organized and keep you on top of everything they do. They are in constant contact with you and they are both there for you every step of the way. Working with EJ has allowed me to focus on what I really love – writing. Jennifer does an amazingly awesome job on promo banners that will wow your socks off. They take the worry out of trying to promote your book on your own. From the first time you contact them you feel a part of their family. Thank you Enticing Journey." "I just wanted to share that I was pleased with my blog tour with Enticing Journeys. It was my first blog tour so I knew nothing & had many questions. Ena & Amanda answered all my questions in a timely manner, guided me through the process. I felt Rarity got good coverage & I ended up with several reviews. Were they the best? I don't know, because it was my first tour I can't compare. But I did see results and my sales rank was better during the tour. 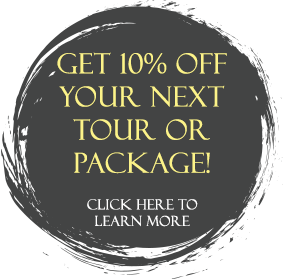 Just fyi if looking for an external tour company." "Ena and all the ladies of Enticing Journey Book Promotions have been outstanding to work with! I am a new Author and I found out about them by a posting on Facebook. Their site peaked my interest so I started talking with Ena about their products and what all I needed to do to work with them. She helped me so much and continues to do so! If you are looking for a company to help promote your projects, Enticing Journey Book Promotions is the real deal! They put their heart and soul into their work." 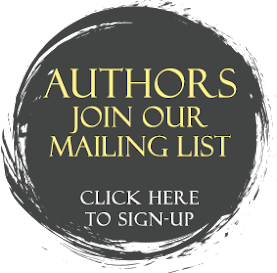 Are you an Author or Blogger who has worked with us in the past? Click below to submit your testimonial. We would love to add your thoughts. Thanks!